Joachim Capdevila (b. 1944) is a master of the art of goldsmithing, whose understanding of how to meld traditional handcraft with contemporary avant-garde jewellery is second to none. At the same time, his roots, which lie in painting, are unmistakable. Yet Capdevila does not just paint metal; his one-off jewellery pieces are rather the materialisation of a creative process in which metal and colour combine to become a completely new entity. The Barcelona-based jewellery artist has created a unique oeuvre in some fifty years, which is now being presented in a 175-piece-strong review for the very first time. 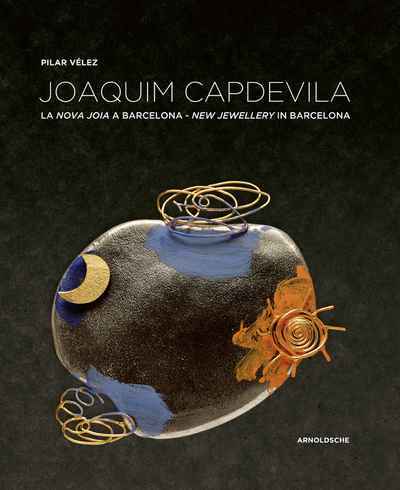 In addition, Pilar Velez explores Capdevila's artistic development and his role as a pioneer and a major proponent of New Jewellery in Europe.